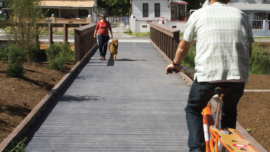 Guided by a forward-thinking vision statement and set of measurable goals, the Siler City Pedestrian Plan and Healthy Living Supplement will lead Siler City towards becoming a more vibrant and pedestrian-friendly community. 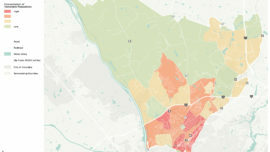 This innovative plan breaks new ground, incorporating active living concepts, equity analyses, and assessments of access to recreation opportunities and healthy food options into the planning process. Alta/Greenways conducted a comprehensive planning process and analysis. This included significant public participation effort with the Town, which included an online public comment form, stakeholder meetings, and two public outreach and engagement events. All major roadway intersections were assessed and completely described for pedestrian conditions and recommendations were made for their improvement. 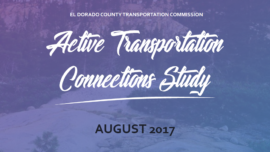 An interconnected system of both on-road sidewalks and off-road trails was recommended with an assessment of all opportunities and constraints. Because Siler City is a small but growing community, the team focused on recommendations for infrastructure, programs, and policies that will enable Siler City to achieve near and longer-term goals of becoming a more livable, walkable community with opportunities for healthy lifestyles and dynamic and lively downtown. 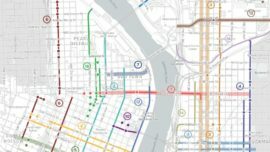 One critical function of a connected pedestrian network is to provide safe access from neighborhood areas to healthy food vendors and recreational opportunities. Designed to be a supplementary scope to our work on the Pedestrian Master Plan, the Siler City Healthy Living Supplement Project built on the pedestrian planning process and further analyzed the potential impacts of the proposed pedestrian network to the accessibility of healthy food options and recreational opportunities in Siler City.